You’ve probably had to fend off this tired question before: How can we get in the holiday spirit here on the West Coast when it’s warm in December? Well, first of all, it’s cold—by L.A. standards, at least. 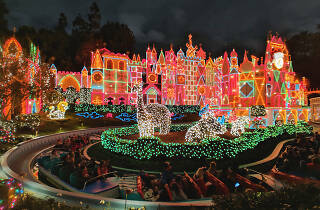 But there’s also plenty of holiday cheer if you know where to see Christmas lights in Los Angeles. In between a deluge of Christmas events and frantic shopping trips—you’ve consulted our holiday gift guide, right?—take the time to check out these twinkling neighborhoods. 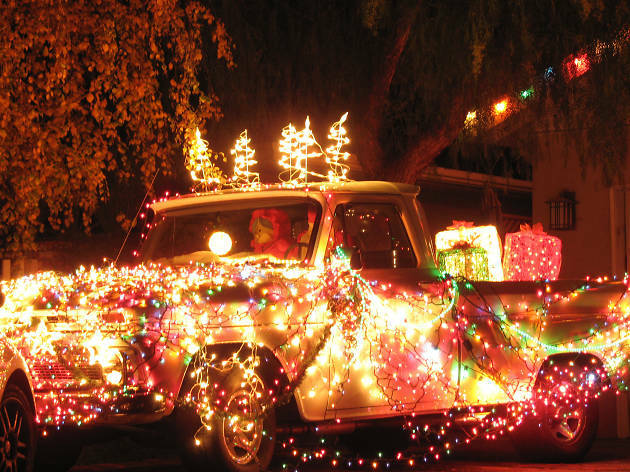 Just make sure to bring along an extra sweatshirt and some patience: Not even Christmas lights can escape L.A. traffic. 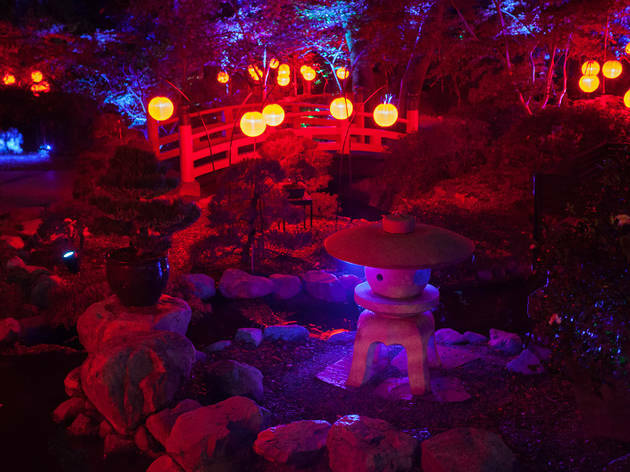 Descanso Gardens’ light-up experience has ditched the kitsch in favor of a whimsical, wondrous, curiosity-driven display that’s among L.A.’s most stunning and, more importantly, most fun. 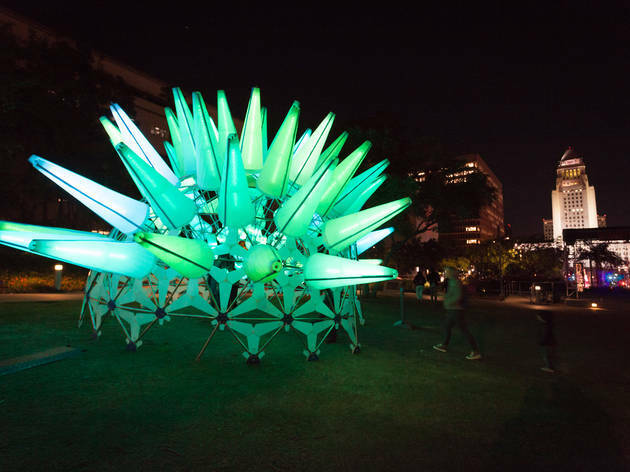 The interactive, nighttime program has set up eight illuminated installations around the botanical garden grounds, from luminescent forests to free-standing hands-on art pieces. While L.A. might lure in visitors with breezy palm trees, the region is no slouch when it comes to conifers. 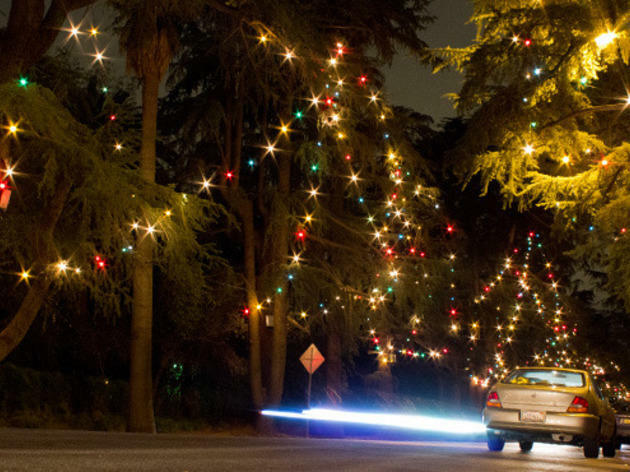 Case in point: This grand, mile-long driveway of cedars in Altadena becomes blanketed in lights each holiday as it transforms into Christmas Tree Lane. Take a majestic cruise down the hill after it lights up the second Saturday in December (Dec 8, festival at 2pm, lighting at 6pm). Just a heads up: While you may feel inclined to drive through with your headlights off, that would be illegal. 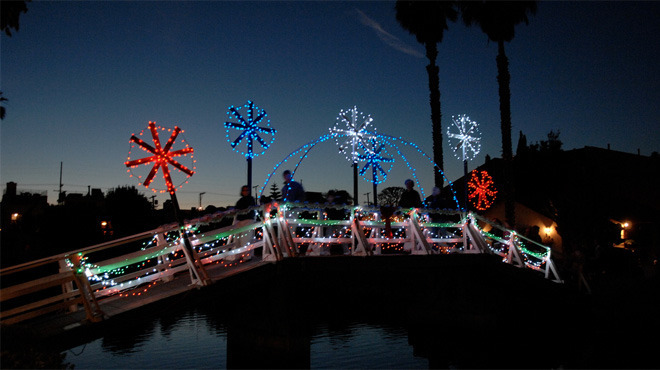 Free of the boardwalk’s grunge and Abbot Kinney’s pretense, the Venice Canals are an idyllic slice of L.A. living made all the more charming by the Christmas lights that line its bridges each year. Leave your car a few blocks away to avoid the narrow, one-way Dell Avenue, and take a stroll through the shimmering neighborhood. 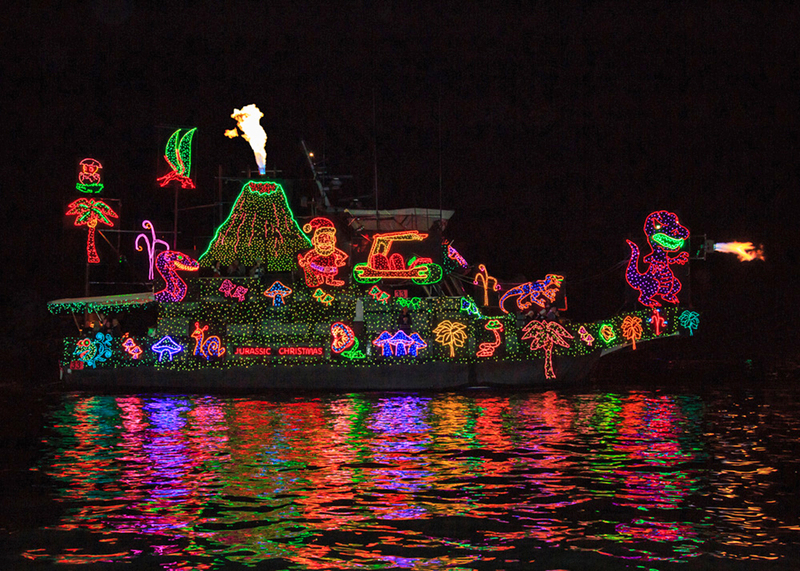 For a more offbeat holiday, make sure to come out for the canals’ long-running and gleefully irreverent boat parade (Dec 9 at 3:30pm). 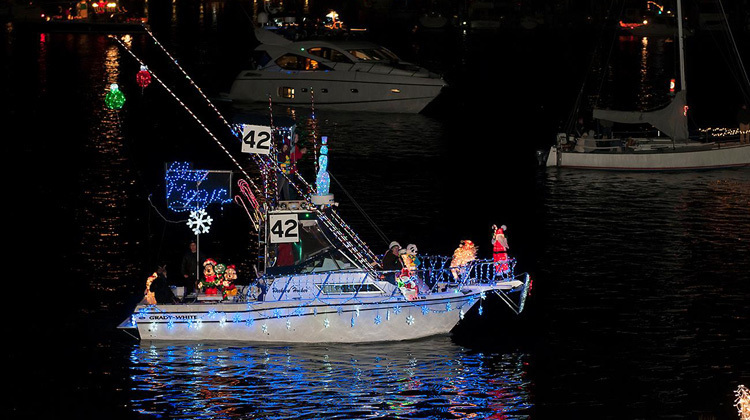 Feel as though you've escaped to a small-town fishing village during the Marina Del Rey Boat Parade. 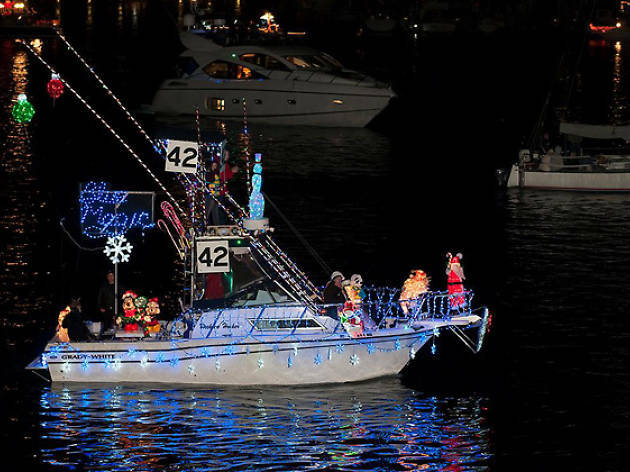 Bring a blanket and gather around Fisherman’s Village or Burton Chace Park to watch as 70 boats glide through the marina with holiday lights and decorations in competition. Categories include Best Theme, Best Animation, Best Band, Best Lights and more. The festivities begin at 5:55pm with fireworks, and the boat parade starts at 6pm, rain or shine. “Balian” may revive memories of red-striped ice cream cups for LAUSD alumni, but today the family name is most closely tied to its Mediterranean Revival mansion in Altadena. Each Christmas visitors flock to the house to see thousands of lights elegantly draped across its corner plot. The destination has its fair share of campy elements—oversized, wooden nativity animals and the near-constant strobe of light-up toy vendors—but that first gasp-worthy glimpse as you turn off of Allen Avenue makes the house a must-visit. There’s plenty of street parking along the residential streets (be courteous) and Christmas Tree Lane is only a few blocks away. 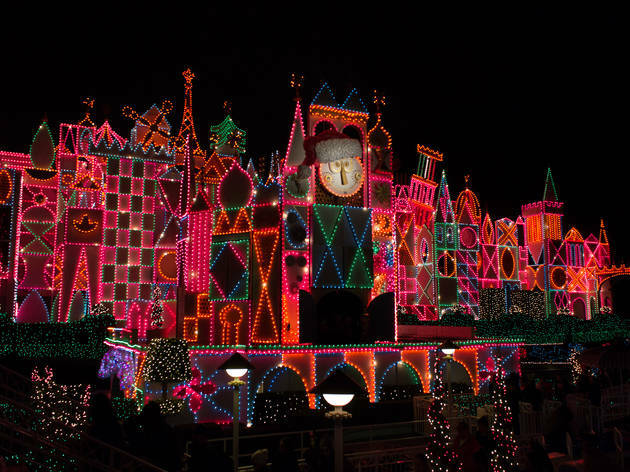 We’ll admit it: Los Angeles has no true holiday counterpart to the festive windows of New York’s 5th Avenue. That said, our own tony shopping district, Beverly Hills, knows how to add a bit of opulence to the holidays. 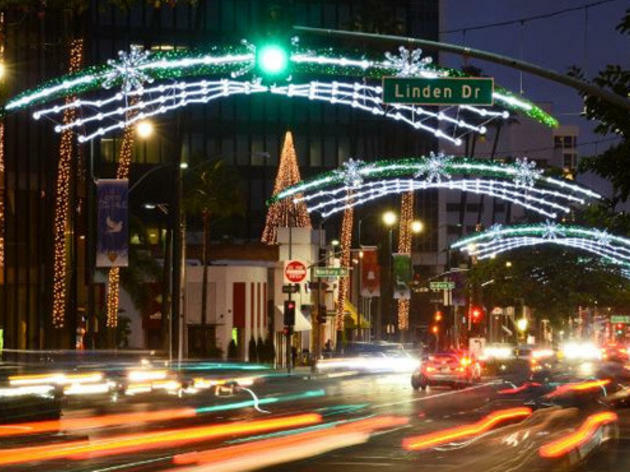 With much pomp and spectacle (beginning Nov 15), lights swirl around the palm trees that line Rodeo Drive, up the steps of Via Rodeo, over the span of Wilshire Boulevard and onto the extravagent Beverly Wilshire. 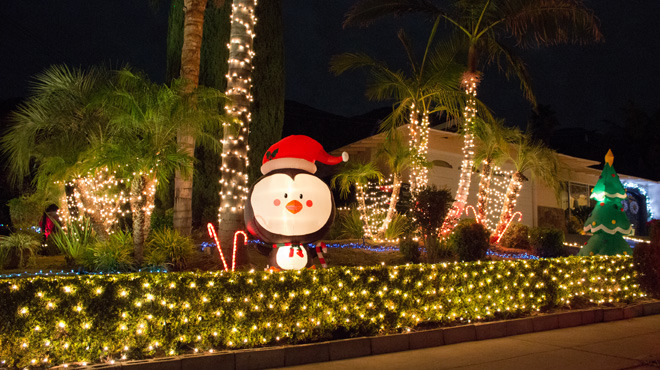 We all like showing off to our neighbors, but the homeowners behind Candy Cane Lane take it to the extreme. 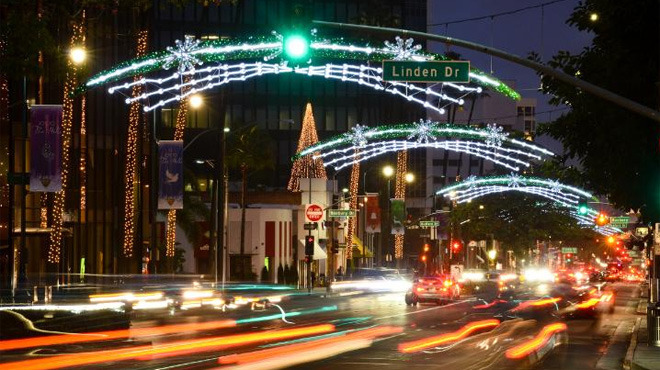 For over 60 years, these eight blocks—centered around Lubao and Oxnard Streets in Woodland Hills—have been blanketed in lights. 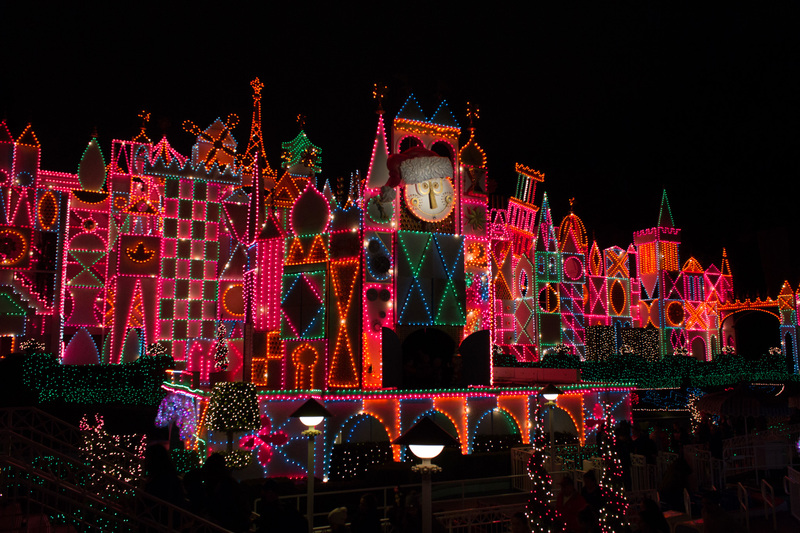 The displays light up starting the second Saturday in December and last through the end of the year. 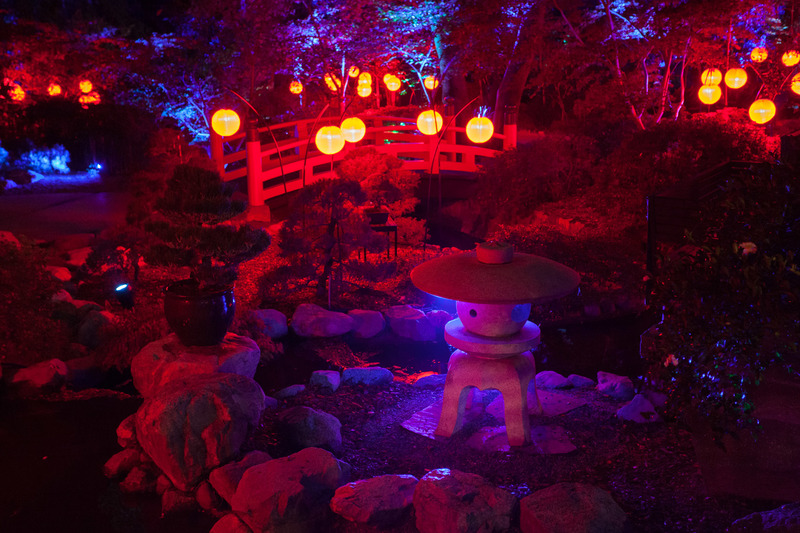 While not strictly a holiday display, this timed-ticket, nighttime event held across the grounds of the Arboretum should satisfy your search for all things illuinated. 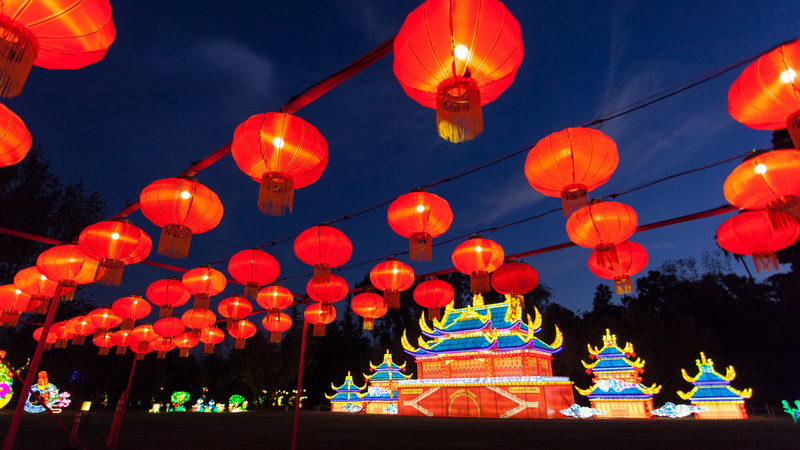 The event includes a slew of Chinese lanterns—but not the small, hanging type. 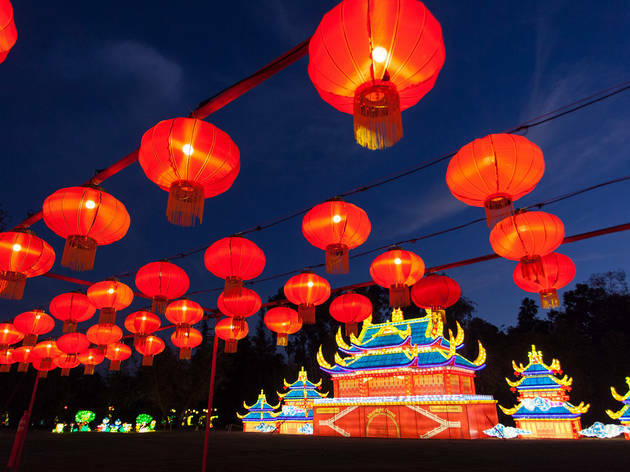 A field in the Arcadia botanical garden is covered with parade-float–sized structures, with other themed archways and playful creatures lining the pathways around the grounds. 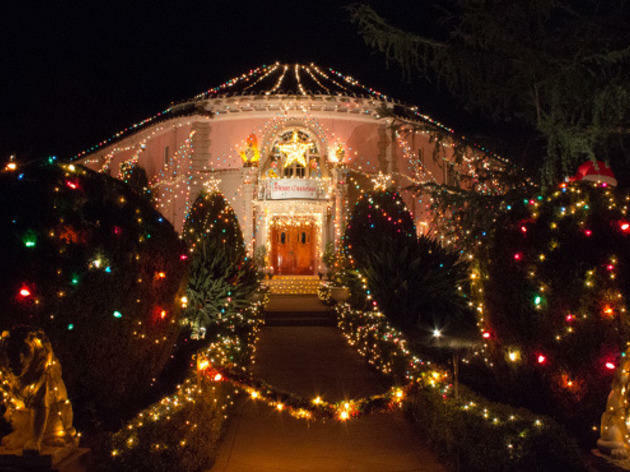 Sometimes you simply want to see as many lights as possible, and Torrance’s Sleepy Hollow neighborhood surely delivers. Follow the stream of brake lights overflowing from Robert Road for a trek through this visual overload. Starting in early December, seemingly every tree, house and lawn becomes blanketed in an electric bill-dizzying degree. 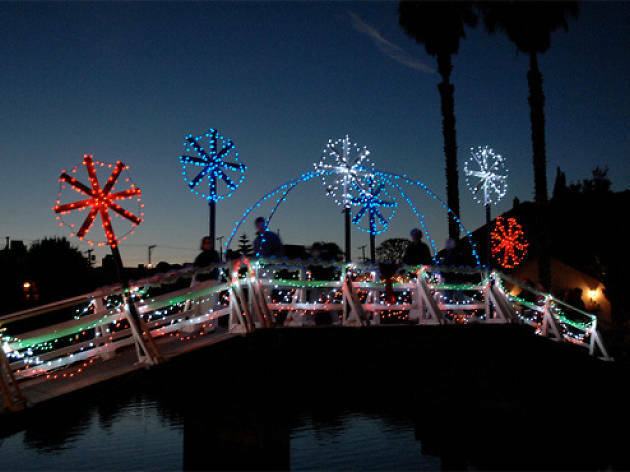 The display runs every night from 6 to 10pm, starting in early December up until New Year’s Day, and you can walk the few blocks if you’d prefer (park on the PCH, Calle Mayor or Prospect Avenue). 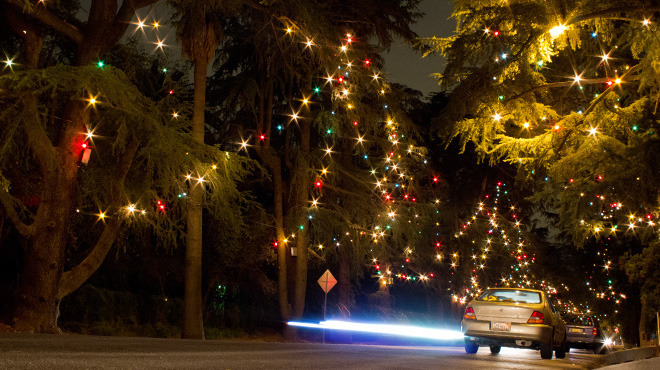 After going dark in 2009, holiday lights have returned to Griffith Park—this time at the L.A. Zoo. 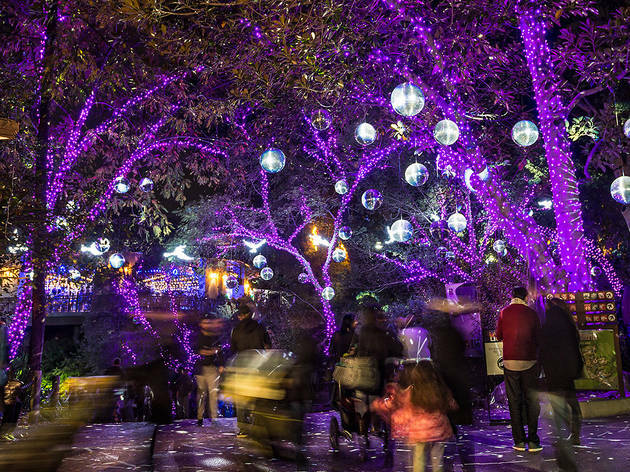 Whereas the old DWP Holiday Lights brought motorists careening through the park’s windy roads, the zoo’s fest finds visitors trekking through the front half of the festively illuminated grounds on foot. Though most of the animals will be asleep, you will be able to see reindeer and sit for a photo with Santa. 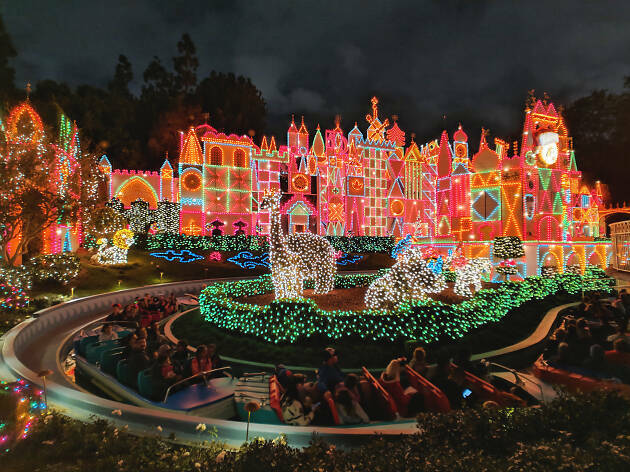 Standout displays include elephant statues animated with projection mapping, a twinkly light tunnel and festive interpretations of L.A. landmarks. 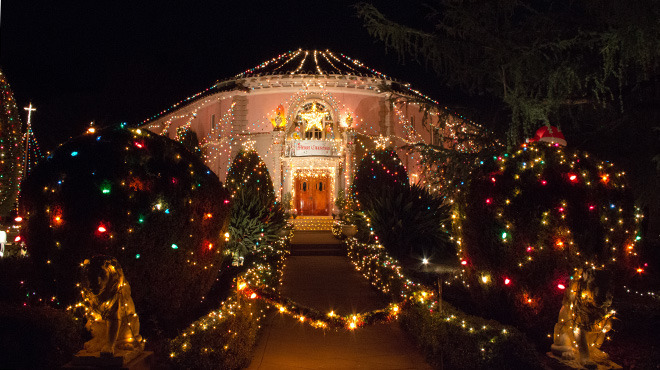 A decades-old tradition of coordinated holiday display among homeowners makes thhe sloping grid of ranch-style homes in Upper Hastings Ranch a scenic year-end destination. 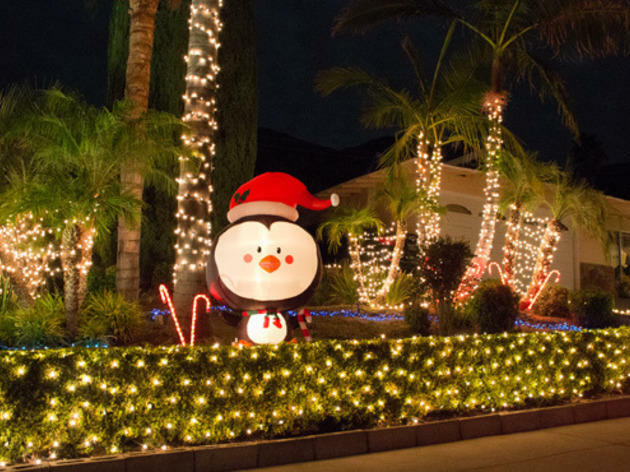 Each block of the Pasadena neighborhood decorates according to a different theme; one street might be lined with light-up candy canes while another is flanked by an army of inflatable Santas. 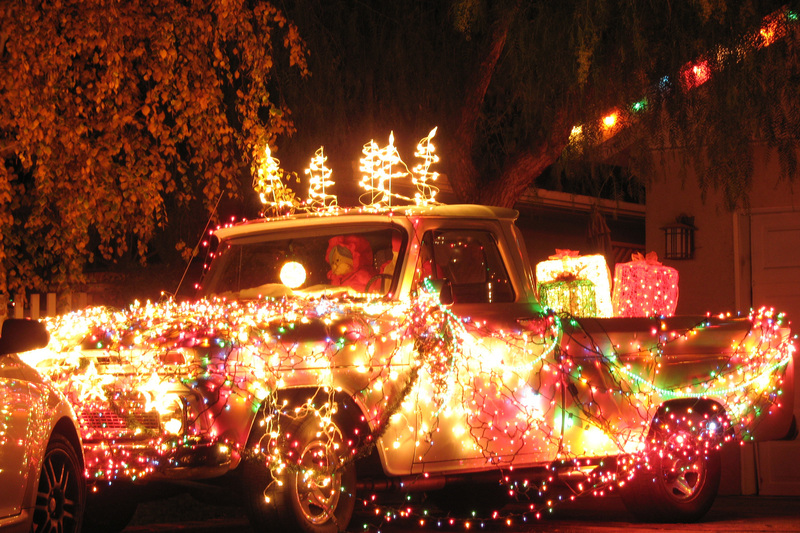 After an official lighting in early December, you can cruise around the twinkling foothill community until the new year. 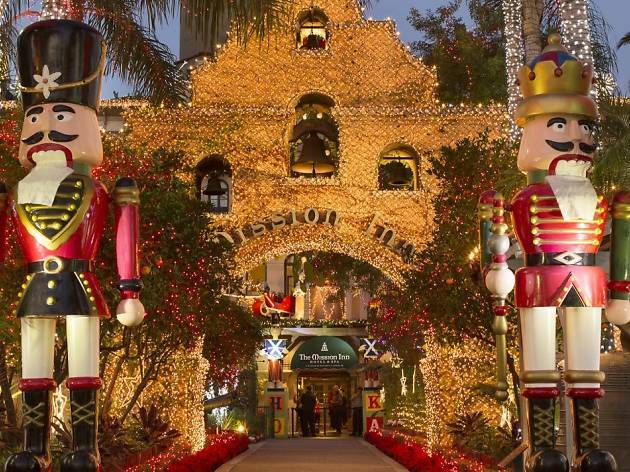 Riverside’s stunningly beautiful Mission Inn is bathed in 4.5 million twinkly lights during the annual Festival of Lights. The free six-week-long holiday tradition begins the day after Thanksgiving with a “switch-on” ceremony. 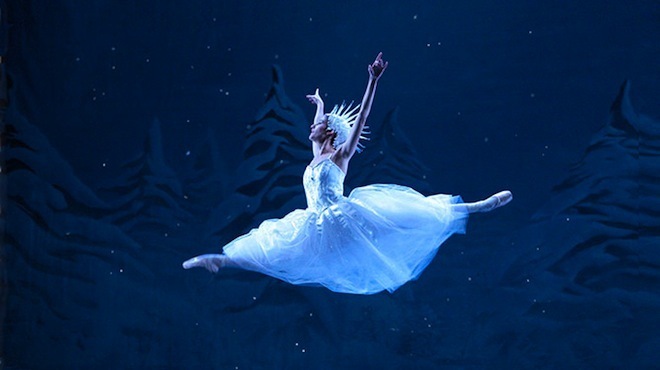 Throughout its run, you'll find horse-drawn carriage rides, fresh snow and more than 400 animated figures. Ah, the joys of Christmas in a Mediterranean climate, where boat owners can deck out their ships in holiday lights and set sail without the impediment of icy weather. 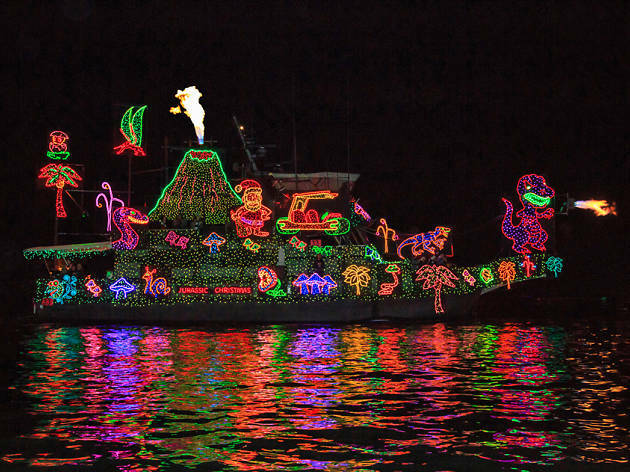 For the 110th year, the Newport Beach Christmas Boat Parade is doing just that as over 100 decorated yachts and ships parade around a 14-mile circuit in the Newport Harbor. You can see the parade for free during each of the five nights from any bay-facing point along the harbor, but there are also reserved seats and dining packages available for purchase. 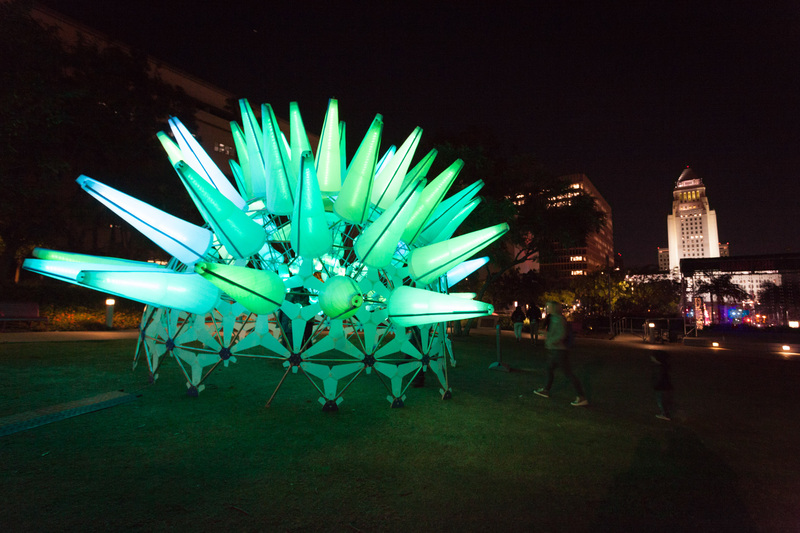 Touch, climb and explore 19 interactive, illuminated installations at Grand Park’s inaugural nighttime experience. 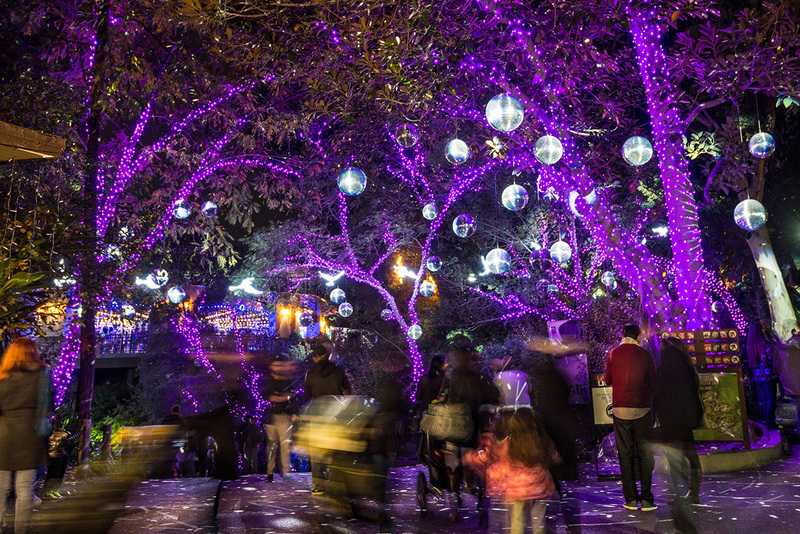 For most of December, Winter Glow will complement the park’s traditional holiday decor with hands-on displays of all sizes. It’s not as much of a destination as competing ticketed displays, but it’s hard to argue with free; if you’re in the area in the evening, it’s worth a stroll through the park. Looking for more Christmas cheer? 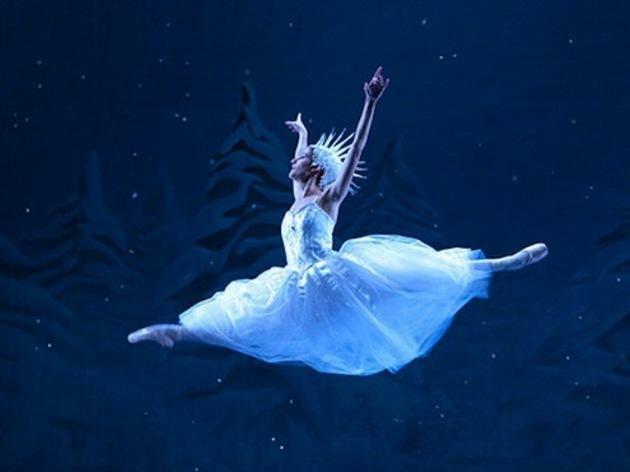 You won't find snow-covered trees and below-zero temperatures in L.A., but there are still plenty of Christmas events and holiday activities to get you in the festive mood.